The Speider Scout Knife is a smaller fixed blade that is geared toward safe use by supervised younger crowds. It features an unsharpened, rounded blade tip, while the blade's edge is razor sharp. 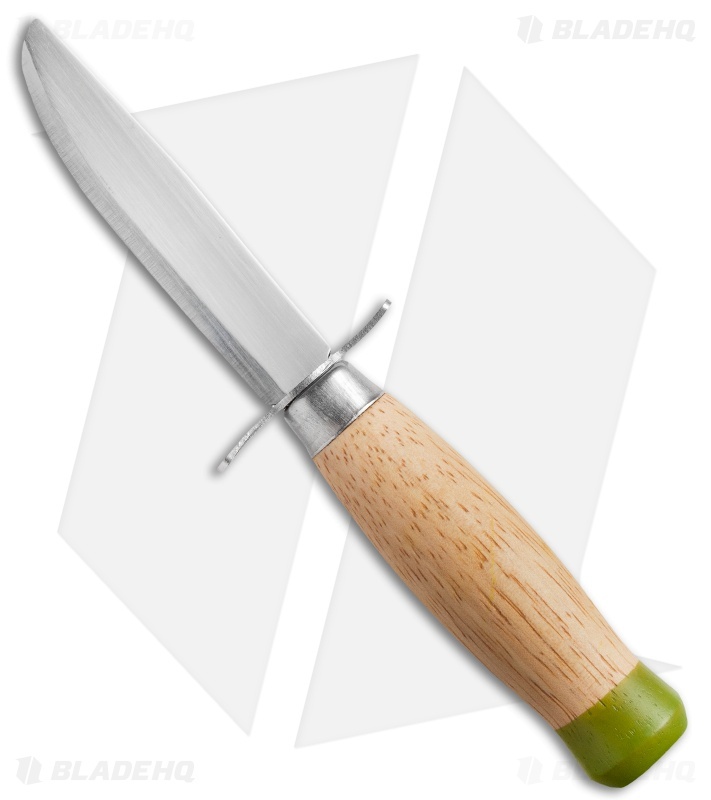 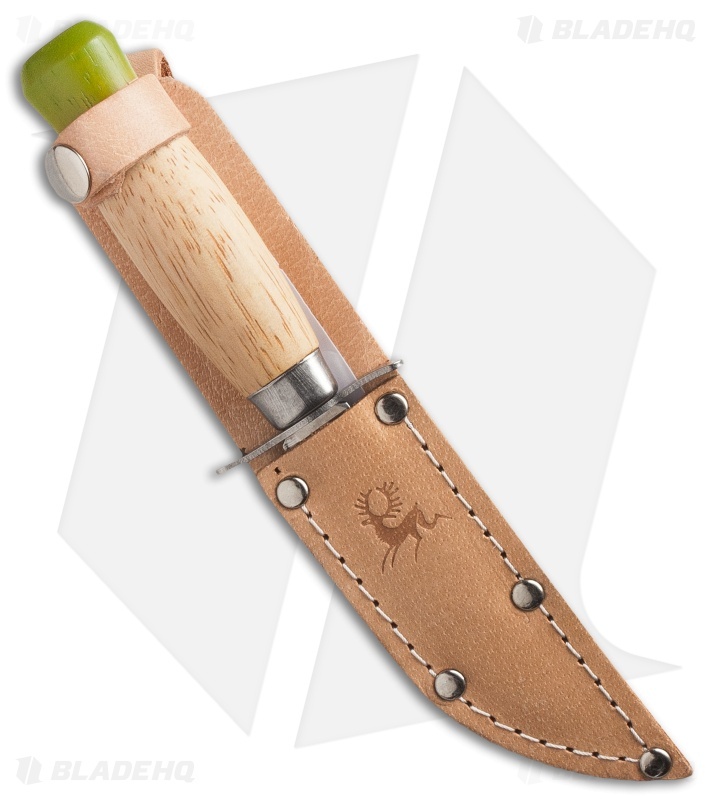 The birch wood handle has a blade guard and green coated handle end. Includes a leather sheath.